Here are some of the best fun things to do in Negril, Jamaica. 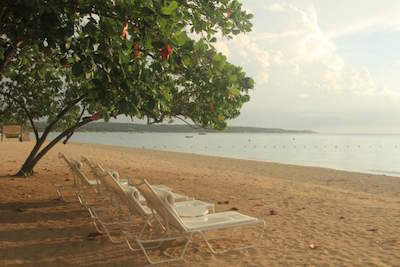 From white sandy beaches to lush tropical forests, Negril offers the holiday maker a fabulous choice of adventures. 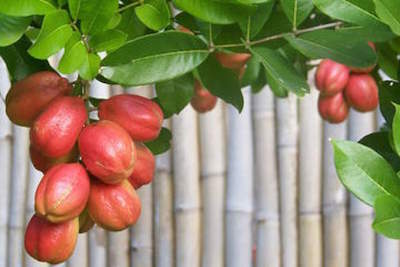 Whether you are visiting in a group, as a family, a romantic couple or alone, the tours will cater for your every need. Cruise on a luxury catamaran, visit a lagoon that glows in the dark, bounce over rugged terrain in an ATV or swim under a massive waterfall! You can take a cultural trip to learn about the history of the Island, swim with dolphins, sip rum at a world famous distillery and see the most amazing sunsets. 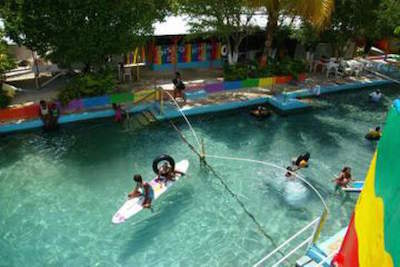 These and many other exciting attractions in Negril are there for your to discover! Why only spend time on the white sandy beaches when there are so many things to do in Negril on the water! For a laid-back approach, tour aboard a local river boat or luxury catamaran, or book a romantic night cruise along the sensational Luminous Lagoon's glistening waters. 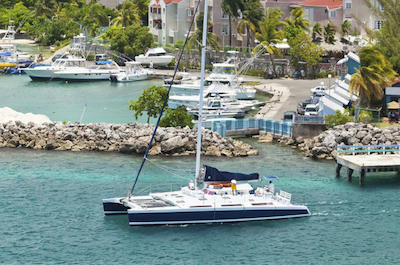 For those a little more adventurous, a sailing trip which offers cliff diving or snorkeling off-the-boat to explore the underwater array of tropical fish and rich coral reefs is guaranteed to get the adrenaline pumping. Take a trip in a pontoon boat and stop at the Appleton Run Estate, one of JamaicaÕs oldest distilleries, visit the YS Falls and swim in a cliff-lined, natural limestone water spring. Keen on a nature-filled adventure and close encounters with indigenous wildlife? 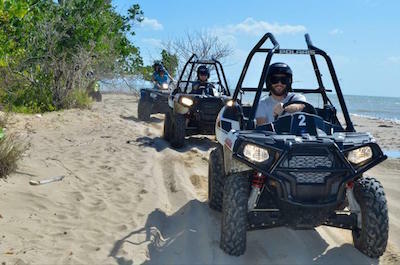 4WD tours in Negril are by far one of the most popular things to do in Negril. If you're looking to break away from city madness to explore some unique biodiversity, you can get in touch with nature on a professionally guided open Jeep safari drive where reptiles and other native animals are easily spotted. Or treat yourselves on an exhilarating off-road Jamwest ATV, all-terrain vehicle, ride. You will be taught how to drive the ATV and be supplied with all safety gear. When you are ready to rough it through the magnificent terrain, NegrilÕs 4-wheeled tours will leave you spoilt for choice. Who can resist refreshing waters, serene scenic backdrops and adrenaline-filled rapids? 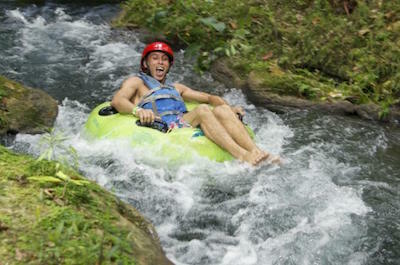 It's no wonder that river tubing is a popular thing to do in Negril and its surrounding areas. Picture yourself tranquilly adrift a jungle river with the hot tropical rays on your skin, experienced guides navigating you through the unspoiled parts of Jamaica and glimpses of the vast array of indigenous wildlife. The action really starts once you reach the jungle's quicksilver rapids. Don't fret, you've gone through the safety briefing and are wearing a trusty helmet, so you've got this down! Afterwards, sit back and enjoy an ice-cold rum punch while taking in the breathtaking scenery and being entertained with fun local anecdotes by your guide. One of the many excellent things to do in Negril is exploring the rich cultural history and indigenous nature on horseback. Set off on the Rhodes Hall Tour to discover Jamaica's natural beauty firsthand. Informative guides will have you trekking through the countryside and into crocodile territory, the mangrove swamps! You'll be scaling panoramic hills and then splashing about on the beach's shores, so be sure to bring those water-shoes and cameras to capture this once-in-a-lifetime moment! Whether you are a complete novice or seasoned rider, the guides will teach you the riding techniques you need and pair you up with a horse to suit your experience level. Before you know it, you'll be trotting along in one of nature's unspoiled gems. For marine enthusiasts, swimming and interacting with dolphins is definitely the thing to do in Negril! If you are brave, you can take the plunge into the water with an adventurous belly ride, dorsal tow or foot push. The foot push is one of the absolute favorites, where you are physically lifted out the water by two dolphins! If you don't fancy a swim, there are plenty other things to do. While standing on a platform, let the charismatic creatures approach you for you to give them a kiss and caress. 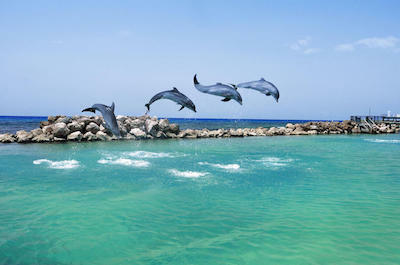 From jaw-dropping aerial acrobatic shows and shark exhibitions, to opportunities to interact with other animals such as stingrays and camels, this family outing to Dolphin Cove is like no other! Whether you're 6 or 60, you're never too young or old to experience this adventurous, once-in-a-lifetime thing to do in Negril. 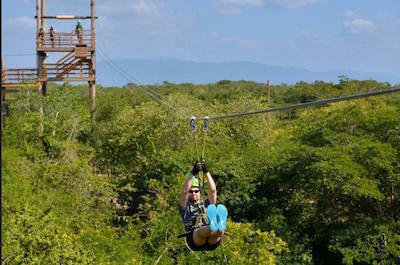 Zipline through tropical forest and watch the stunning scenery below unfold before your eyes. Feel the ultimate sense of freedom while soaring over rivers, springs and dams and through canopies of lush rainforest. Not only can you zigzag between towers and platforms, you can couple your adventure with thrilling river kayaking exploration and alternate nature walks. Reaching heights of up to 45 feet above ground and uninterrupted stretches as long as 1000 feet, the unparalleled airborne views of mountains and sea is a Caribbean experience not to be missed. If you are a nature-lover, there are loads more things to do in Negril than only visiting its stunning shores. The diversity of nature and wildlife in the less-discovered parts of the inland is just as breathtaking. 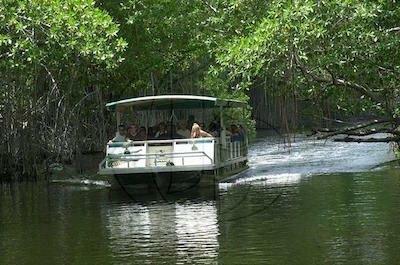 Not too far from Negril lies the quaint St. Elizabeth Parish where you can hop aboard a boat and leisurely drift along one of Jamaica's longest rivers, which is great for birdwatching and spotting other native wildlife, including the notorious crocodiles. 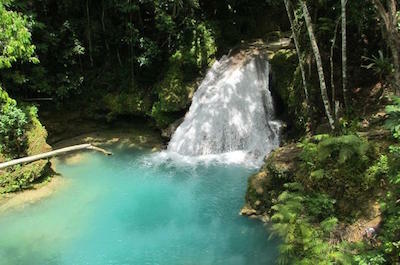 Also close by are two magnificent waterfalls with waters that are safe to enjoy, the fabulous YS Falls with its spectacular 7-tier cascading waterfall and the hidden attraction the Blue Hole. It's difficult to pick just one thing to do in Negril when wanting to exploring Jamaica's rich culture. When it comes to live entertainment, where better to groove along to original Reggae vibes than among the Rastafari locals, you can even join in on drumming circles in a local indigenous village. 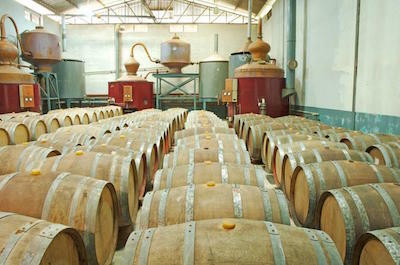 Take a tour and do some rum-tasting at the 250-year-old Appleton distillery, discovering what makes their rums and liqueurs so uniquely flavorful. Finish off at Rick's Cafe for traditional cuisine and a sunset bar dinner while watching the famous sunsets. Whether you're looking for a local experience or the luxury of a privately-guided tour through the streets of Negril, there are many options to immerse yourself in Jamaica's laid-back culture. From rum-tasting at Appleton Estate distillery to exploring an underwater cave in the rainforest, you will find so many things to do in Negril. 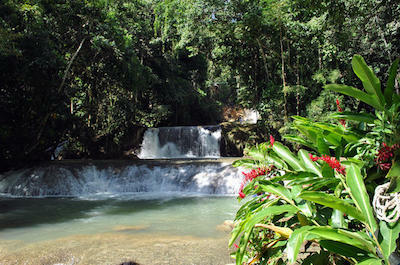 Check out one of the hydro-electric plants, scale the cascading cliffs of YS Falls or stroll along the Seven Mile Beach. Visit the local restaurants, there's one in the middle of the ocean, for sundowners, or learn how to make traditional food with the Rastafari locals. See the Blue Hole and the Dunn's River Falls, You can discover the sights on horseback, on wheels, a river boat, by foot, or you can even zipline midair for an aerial view like no other. When it comes to relaxation and water activities, you'll never run out of things to do in Negril. 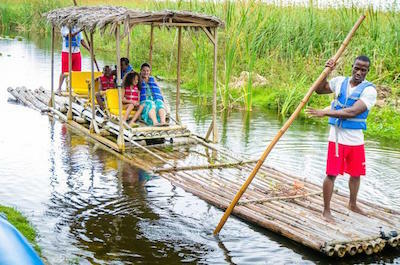 The Black River, one of Jamaica's longest, is well known for its relaxing river boat rides and fun-filled water activities. The boat trips are a must if you enjoy cruising along lazily, taking in the dense tropical environment and spotting the local fishermen going about their business fishing for shrimp. And when the sun is 'well-hot' as the locals say, you might even catch the elusive crocodile eerily floating near the riverbank. Are you a thrill-seeker? Feed your adrenaline by jumping into a kayak or inner-tube, twisting and turning through rapid upon rapid for the ride of your life! One of the family-friendly things to do in Negril is spending a day at Kool Runnings Adventure Park where an entrance ticket will get you into your choice of either the Water Park or Adventure Zone, and includes access to all attractions within your chosen area. Paddle through the nature reserve's canal in an inflatable or kayak, or take your whole family for a ride on a bamboo raft. Also fantastic fun for all is bobsledding, tornado bowl rides, and slides fit for the bravest of the brave. With a paintball arena, go-kart circuit and outdoor laser combat field, to name but a few, it's so action-packed, you'll want to go back again just to squeeze it all in! If you want horse riding with a difference, Rhodes Hall Plantation offers distinct things to do in Negril. Rhodes Hall offers more than just a trail ride through the morass, Jamaican swamp, and rainforest. 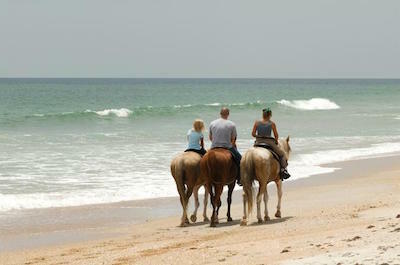 At its two private beaches, you get to actually stay on horseback while the horses swim in the ocean. At times, their hooves don't even touch the ground! The authentic charm of this historic Jamaican plantation, which spans 550 acres, also boasts delightful accommodation and a host of animals other than horses on the property, including a crocodile reserve. The friendly staff and informative guides will quickly win you over, and you'll soon find yourself lost in this chunk of Caribbean paradise. Keen on great traditional cuisine, tropical sunsets to die for and free-for-all cliff diving? Then Rick's Cafe has got be on your list of things to do in Negril. Located on the West End cliffs, Rick's Cafe is of the most popular spots to watch an unforgettable sunset and enjoy live Reggae music. Daredevil locals and visitors regularly can be seen jumping off several cliff platforms into the 33 foot deep ocean below. When the pro-jumpers show up, though, it's a true extravaganza! Dating back to 1974 and voted as one of the sexiest bars in the Caribbean, Rick's Cafe is a local institution not to be missed for the world. If your muscles and joints need soothing from all the activities you've been doing on your vacation, then visiting the Bubbling Springs Mineral Bath is the next fun thing to do in Negril. 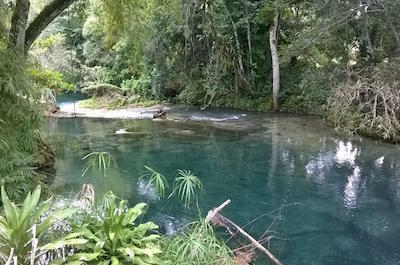 In the little district of Point Hill, a mere stone's throw away from Negril, you'll find one of nature's phenomena, a naturally occurring spring that is packed with healing minerals. Bubbling Spring or Healing Stream, as the locals refer to it, is purported to relieve or heal many ailments, including arthritis, back pain and sore feet. Additional family-friendly attractions consist of a recreational area with go-kart racing and a water slide, as well as a bar, restaurant and craft shop. If you are looking for a small group adventure for your family into the lush rainforest’s of Jamaica, then the Private Tour: Blue Hole and Fern Gully Rainforest Adventure from Negril is a fabulous thing to do in Negril. Your 8-hour exploration of the rainforest’s of Jamaica begins with complimentary hotel pick-up service where you will be transported to your destination. On the way you will pass through the communities of Ocho Rios, White River and Exchange before you reach the oldest hydro-electric plant on Jamaica where wooden pipes known as The Black Pipe into the electric making facility. Here at River Gully your explorations start as you climb up the waterfalls until you reach the stunning Blue Hole where you can cliff jump into the water and explore an underwater cave at the Island Gully Falls and Blue Hole. You will be pleased with the natural surrounding as you frolic in the clear blue water. The Private Tour: Blue Hole and Fern Gully Rainforest Adventure from Negril concludes with drop-off service at your respective hotel. If you are searching for an idyllic white sand beach in Jamaica, then one of the most popular things to do in Negril is to visit Seven Mile Beach. Located in the northern portion of Negril just off of Norman Manley Boulevard, Seven Mile Beach, one of the most fascinating Negril activities is situated on 20-acres and boasts the most extended stretch of continuous beach on Jamaica. Once at Seven Mile Beach you can play in the warm blue waters of the Caribbean Sea, snorkel just offshore where you will see hundreds of tropical fish or you can simply relax on the white sands soaking in the sun. Seven Mile Beach is a great place for a picnic lunch and if you want a beachside café to enjoy a cold beverage then try Moma Flo’s Beach Bar or pick-up something from the onsite snack bar. You will be thrilled with the atmosphere at Seven Mile Beach which can be a hectic laidback and if you can catch a sunset from this stunning white sand beach your eyes will be amazed at the different pastel colors in the sky. 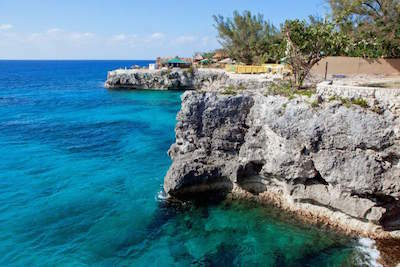 The Negril Cliffs are a must see when you visit Jamaica and the perfect thing to do in Negril. Located in the southern section of West End Negril just off of West End Road, the Negril Cliffs are a fascinating piece of geologic history and a fun place to visit. Once at Negril Cliffs you can throw yourself off the cliffs into the warm blue waters of the Caribbean Sea in several safe places along the cliff line. 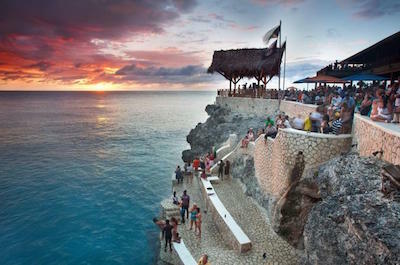 You can indulge in a Red Strip beer or an island cocktail at the world famous Rick’s Café which offers a stunning view of the Negril Cliffs. There are several other fine dining places like Xtabi Restaurant which serves outstanding Jamaican and Caribbean cuisine as well as casual dining at Presley’s Bar and Grill. One of the best times to visit the Negril Cliffs is around sunset where you will be pleased with the canvass of colors that are painted on the sky. Whether you want to jump off the cliffs or just shoot a few photographs, the Cliffs are a great thing to do in Negril for the whole family. 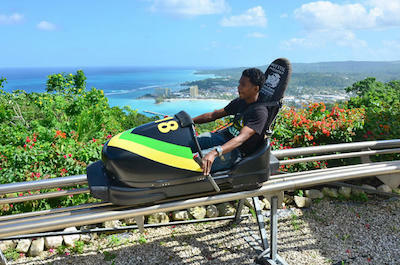 When you think about bobsledding, you probably don’t think about snow in Jamaica but the Jamaica Bobsledding Tour is a thrilling thing to do in Negril. Your 3-hour bobsledding adventure begins with hotel pick-up service where you will drive past the stunning town of Falmouth and arrive at the eco-park in Ocho Rios. Once here you will be amazed at the scope and tropical landscape of the eco-park as you Dunn’s River Falls in the background. You will be given a short safety briefing on how to use your bobsled and then you will race down the track which starts above Dunn’s River Falls at 700-feet. You will feel like you are in the movie Cool Runnings as you are soaring down the 3,200-feet course you will view the natural springs, native plants and flowers as well as numerous birds that call the jungles of Jamaica home. When you arrive at the bottom of the course, your Jamaica Bobsledding Tour will conclude with drop-off service back at your selected hotel. If you like bird watching or being watching nature in action, then Barney’s Hummingbird Garden is a superb thing to do in Negril. Located on Hylton Avenue on Negril Westend, Barney’s Hummingbird Garden is situated on a quarter acre within a private house garden. Barney’s Hummingbird Garden is beautiful with numerous species of flowers such as hibiscus, peregina, frangipani, ground bromelia and ixora as well as fireball which fill the air with sweet aromas. 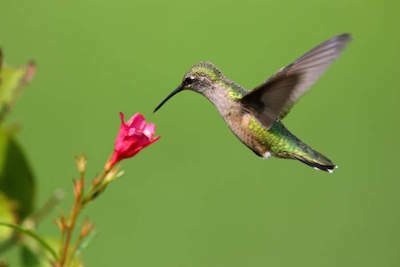 Barney’s Hummingbird Garden is home to three of the four native Jamaican hummingbirds which include the national bird called Doctor Bird which is a red-billed streamertail, the mango quit and the vervain which is the secondest smallest hummingbird in the world. You will be thrilled at the sights and sounds of the additional wildlife like geckos, iguanas and numerous other birds that call Barney’s Hummingbird Garden their home. Once you enter Barney’s Hummingbird Garden you might not want to leave this beautiful and tranquil place in Negril. The Negril Lighthouse is a superb historical thing to do in Negril that will teach you about the relationship that Jamaica and the Caribbean Sea share with each other. Located on one of the most extreme western points of the island, the Negril Lighthouse was constructed by a French company in 1894 and is one of the earliest built concrete lighthouses in the world. The Negril Lighthouse is a beautiful cylindrical structure that stands 66-feet above the ground with the ornate metal and glass light tower hovering over the coastline some 100-feet above sea level. The Negril Lighthouse is balanced on a 14-feet deep tank which helps stabilize the structure against earthquakes. 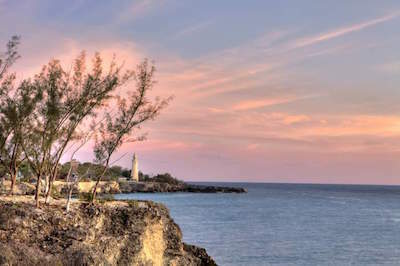 The Negril Lighthouse was originally lighted by a gas lantern but the lantern has since been replaced by a solar powered light which flashes every two seconds. The Negril Lighthouse is listed as a historical structure with the Jamaica National Heritage Trust and there are several small period-style cottages which offer a brief look into the past. Booby Cay Island is an ideal thing to do in Negril when you want to escape the hustle and bustle of your resort or the beaches of Negril. Located just off the coastline the Booby Cay Island is best known as the filming location for Jules Verne’s classic movie 20,000 Leagues Under The Sea. Booby Cay Island, one of the best tours in Negril, is a perfect place to find solitude while you have a picnic or play in the warm waters of the Caribbean Sea. Excellent snorkeling and swimming opportunities exist just off the island where you can view a variety of tropical fish as well as gorgeous coral reefs. Booby Cay Island received its name after the Booby Bird which breeds on the island and lays their eggs. Today, many people refer to Booby Cay Island as Gilligan’s Island because of its laidback approach and the island’s excellent tropical landscape. You can reach Booby Cay Island by boat or ferry and is a nice place to spend a relaxing day. If you like Reggae music, then viewing the Peter Tosh Monument is the perfect thing to do in Negril. The Peter Tosh Monument is a subtle political statement towards Rasta life-style where smoking ganja is just part of your religion and spiritual treatment in life. Located south of Bluefields in Belmont, the Peter Tosh Monument features excellent murals which include the symbols of his life like red-eyed Lion of Zion on his mausoleum, a Rasta man smoking a joint and of course large marijuana leaves. The Peter Tosh Monument is run by his surviving family members as is quite peaceful compared to when you visit Bob Marley’s monument in Nine Miles. Once at the Peter Tosh Monument you will be given a short tour of the property and the caretaker will explain many of Peter Tosh’s political positions. While you walk through the garden of growing weed, you will be pleased with the sounds of Reggae music overhead and the relaxing atmosphere when you visit the Peter Tosh Monument. When you want a superb shopping experience you should visit Times Square Mall in Negril. Times Square Mall is a great thing to do in Negril when you want to browse for souvenirs or duty free goods. Located on Norman Manley Boulevard, Times Square Mall in Negril has 19 shops that range from duty free jewelry at Casa de Oro Jewelers and Diamond Dreams to the Reggae Walk that boasts interesting Bob Marley memorabilia to the Sun and Sand Boutique which sports all the new Jamaican beach fashions. Times Square Mall in Negril also has several authentic arts and crafts made on the island at such places like Irie Gift Boutique, AART Gift as well as Casa Rasta Shop. When you need a break from shopping then you can stop in at the Caribbean Café and indulge in a cold Red Stripe. No matter what you are looking for to buy you will find the perfect item at Times Square Mall in Negril. Stanley’s Deep Sea Fishing offers a multitude of things to do in Negril and is a great choice when you are searching for a qualified watersport provider. Stanley’s Deep Sea Fishing has many different Caribbean Sea adventures that range from snorkeling to deep sea fishing to glass boat and sunset cruises. Deep sea fishing charters are spectacular and you will be treated like a VIP by Stanley and friendly crew who will take care of everything for you from equipment to baiting your line to showing you how to catch the big fish that you want such as marlin or mahi mahi. Stanley’s Deep Sea Fishing can take you on a whale watching cruise in the winter months where you might spot sperm whales as well as spotted and bottlenose dolphins. Stanley’s Deep Sea Fishing can arrange to take you on a fabulous snorkeling trip where you will see beautiful coral reefs and numerous colorful tropical fish swimming in their natural habit. Whether you are looking for a half-day or full-day of ocean-based things to do in Negril, Stanley’s Deep Sea Fishing can provide you with a lifetime of memories.